Israeli Prime Minister Netanyahu has decided to cut short his visit to Washington after rockets fired from Gaza hit a village north of Tel-Aviv, wounding six Israelis. 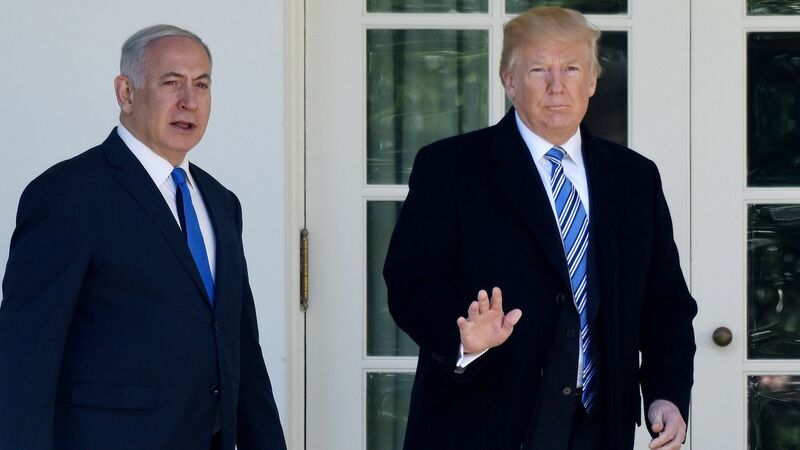 Netanyahu will fly back to Israel on Monday afternoon right after his meeting with President Trump. Why it matters: The escalation in Gaza comes in the midst of the election campaign in Israel. Netanyahu is criticized from right and from left for his policy regarding Hamas in Gaza. This is one of the main issues which harms Netanyahu's image as "Mr. Security." Netanyahu's main political rival, former Israeli Defense Forces chief of staff Gen. Benny Gantz, released a harsh statement criticizing Netanyahu for the deteriorating security situation and called on him to fly back to Israel immediately. Gantz, who is also in Washington, will speak Monday morning at the AIPAC conference. An hour later Netanyahu announced he was cutting short his trip. His planned speech at AIPAC on Tuesday morning is canceled, as is his dinner with Trump on Tuesday night.